Above All Records is proud to announce their new sublabebl Alltum. Alltum is the new Deep & Progressive imprint from Above All Records. Alltum stands for Deep & Progressive sounds within a range of Deep-House till Progressive House. For their first release we welcome well known Producer/DJ from South Africa Ryan Sullivan with a versatile EP containing 3 different tracks from dark & deep to more good feel sounds. 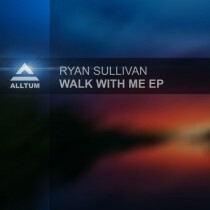 Ever since embracing the world of electronic music in 1997, Ryan Sullivan has been a name synonymous with quality music. Fans and enthusiasts worldwide have come to love his emotive sound, unique productions and dynamic DJ sets. It’s not only fans who are moved by his work as Ryan regularly receives praise from international industry leaders such as Hernán Cattáneo, Moshic, Pole Folder, Menno de Jong, Pezzner, Tony Humphries, Glenn Underground, Jerome Robins, Brothers Vibe, Andy Holt (Redanka), Eelke Kleijn, Darin Epsilon and loads more who repeatedly drop his tracks in clubs and festivals around the world. Ryan’s first breakthrough came in 2005 when Glo-Tech Africa Records signed his first two records, sending both the label and the artist into the international electronic music charts. This attention led to a continuous stream of record releases throughout the world on labels such as Baroque Records, Manual Music, Perc Trax, Triplefire Music, Eighth Dimension, Pure Substance, Gut Feel Records and more. The attention from his international selling records also boosted his DJ career, playing at massive festival events such as Earthdance, Woodstock, Origin, Jungala and Fu-Cha Gatherings in Southern Africa to club gigs right across his home country as well as in Europe. Throughout the years, Ryan’s steadily increasing profile has given him the opportunity to remix some well known acts and DJs, including African artists such as Mafikizolo, Spikiri, Tucan Tucan and Afroboogie, as well as European artists such as V-Sag, Andrew K and Ingo Vogelmann among others. His area of work extends well beyond the borders of conventional dance music, having composed music for film and television and often being credited as mixing and mastering engineer for artists and labels, as well as lecturing audio subjects at tertiary level, including internationally recognised audio institute, SAE. Walk With Me was a hybrid idea, being an emotional track in the beginning and evolving into something more twisted towards the end. I wanted the song to be recognizable for it’s dream-like choral movement in the early stages of the song which roll off into a stripped back groove later on, where a listener would perhaps not realize that the two parts form one song. I’m not sure if I achieved that but I am really happy with the outcome. Cascade was a piece in which I wanted the song to build note by note in succession rather than using chord progressions. This concept evolved a bit and so I only used that idea of cascading notes twice, bringing it in later in the song to create a feeling of suspense. Gut Feel Sounds was kind of an ode to the end of an era when I closed my Gut Feel Records label down. For me, it was written as a sad piece yet people tell me they perceive to be happy and reminiscent of Summer. Enjoy our first release on our Alltum label.